It’s no secret that poor communication tops the list of patient complaints about their physicians. Who hasn’t heard a physician or an enabling administrator say that they “don’t have time to talk to patients” or that they “don’t get paid for talking to patients.” While understandable, that kind of a response seems to demean the interpersonal exchange which is the very essence of the physician-patient relationship. Contrary to what most people think, the quality of a physician’s patient communication skills impacts far more than the patient experience. The quality of your physicians’ patient communication skills drives the quality of the patient’s diagnosis, treatment, outcome and cost. And that my friends should get your attention. Note: Be sure to sign up for the Adopt One! Challenge scheduled to kick off in February 2014. The goal of the event will be to challenge physicians and their care teams to adopt one new patient-centered communication skill within the next 12 months. 1 Dugdale, D. C., Epstein, R., & Pantilat, S. Z. Time and the patient-physician relationship. Journal of General Internal Medicine, 14 Suppl 1, S34-40. 1999. 2 Horne, R., & Weinman, J. Patients’ beliefs about prescribed medicines and their role in adherence to treatment in chronic physical illness. Journal of Psychosomatic Research, Vol. 47, No. 6, pp. 555–567, 1999. 3 Thom, D. H., Hall, M. a., & Pawlson, L. G. (2004). Measuring Patients’ Trust In Physicians When Assessing Quality Of Care. Health Affairs, 23(4), 124-132. 4 Stewart, M. . et al. (2000). The Impact of Patient-Centered Care on Outcomes. Journal of Family Practice, 49(No. 9), 1-9. 5 Levinson, W., Roter, D. L., Mullooly, J. P., Dull, V. T., & Frankel, R. M. (1997). Physician-patient communication. The relationship with malpractice claims among primary care physicians and surgeons. JAMA : the Journal of the American Medical Association, 277(7), 553-9. 6 Johnson, R. L., Roter, D., Powe, N. R., & Cooper, L. a. (2004). 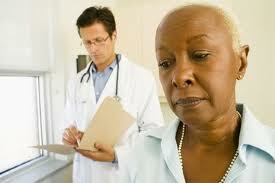 Patient race/ethnicity and quality of patient-physician communication during medical visits. American journal of public health, 94(12), 2084-90.